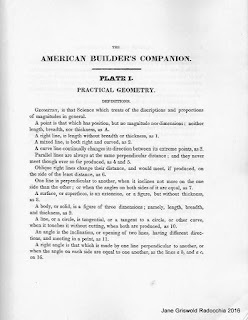 What they wrote about Practical Geometry in their pattern books: Asher Benjamin in 1806, Owen Biddle in 1805, Peter Nicholson beginning in 1792, Minard Lefever in 1833. I want their words to be easily available to anyone who is curious - someone who comes upon this blog or someone who comes to the 2016 IPTN workshops in September. Remember that the pictures can be expanded - click on them. 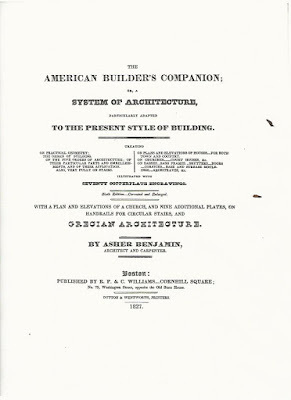 Asher Benjamin's,The American Builder's Companion, was first published in 1806, updated and edited through 6 editions to 1827. His title included the various chapters he has included. 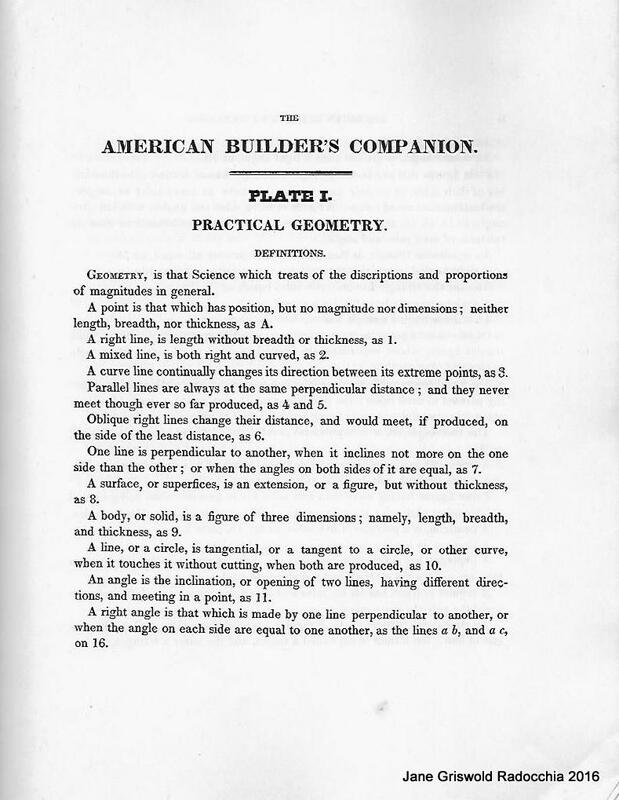 The first is "Practical Geometry". 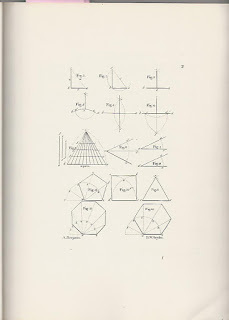 In his preface he says, " I have first laid down and explained such problems of Geometry, as are absolutely necessary to the well understanding of the subject." 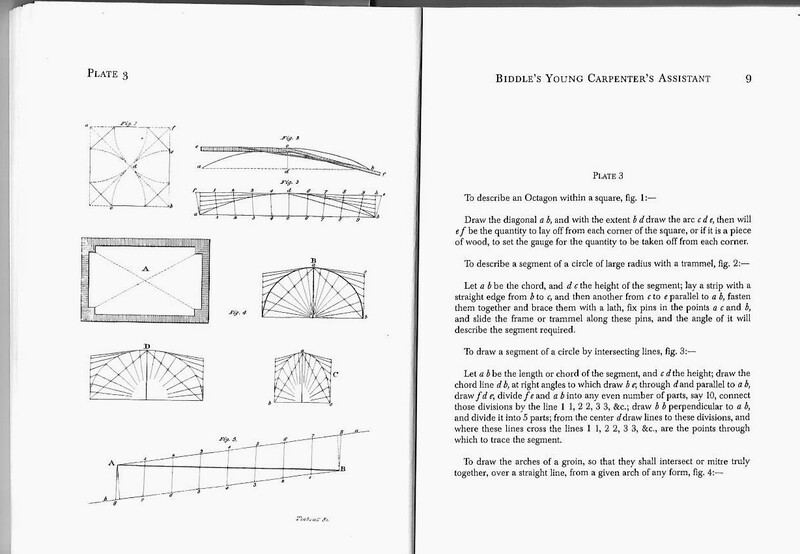 His first 18 of 114 pages are about using geometry to design and build. I have copied here his Plate I and its accompanying notes. 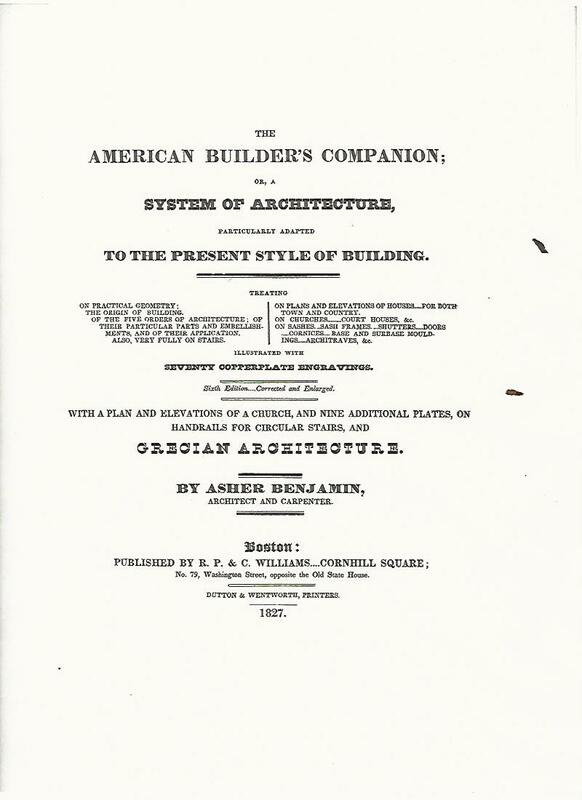 Asher Benjamin, The American Builder's Companion, Boston, MA, 6th ( 1827) edition, Dover Publications Reprint, 1969. 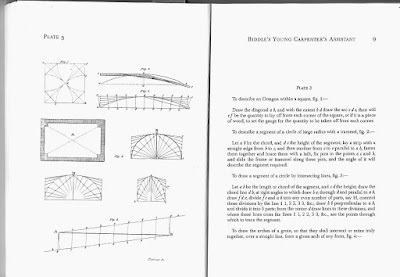 Benjamin wrote at least 6 pattern books beginning in 1797, all popular. 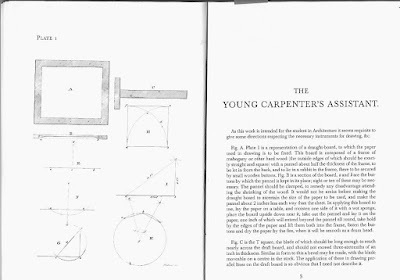 Owen Biddle's book , Biddle's Young Carpenter's Assistant, 1805, was half the size of Benjamin's, easy to tuck into a tool chest. 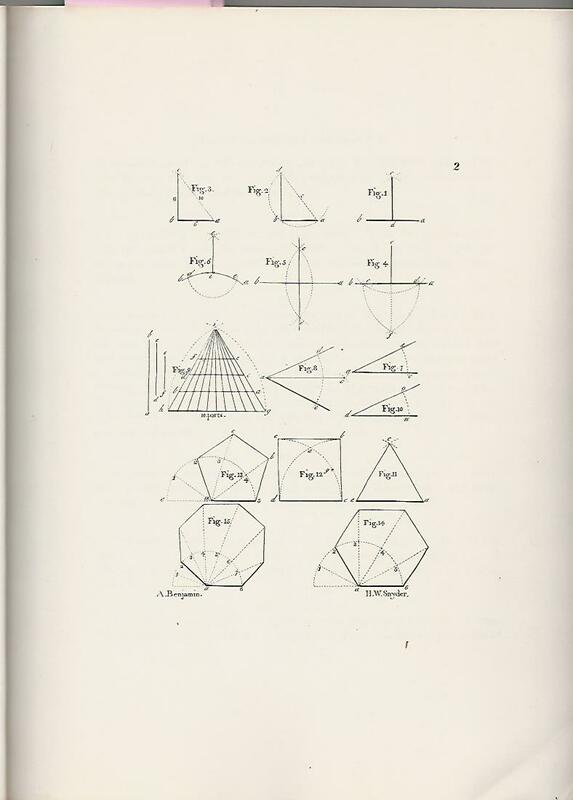 His first 9 pages of 112 are devoted to Geometry. 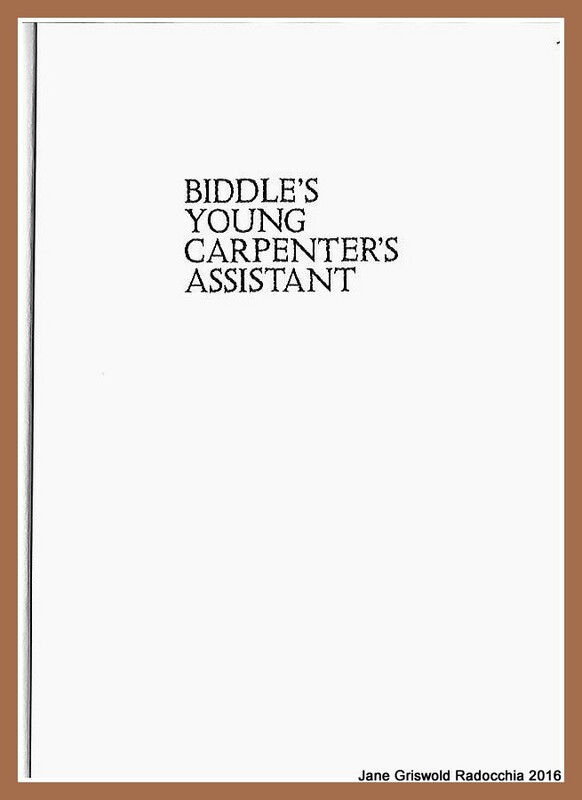 Owen Biddle, Biddle's Young Carpenter's Assistant, Philadelphia and New York, 1805, Dover Publications reprint, 2006. 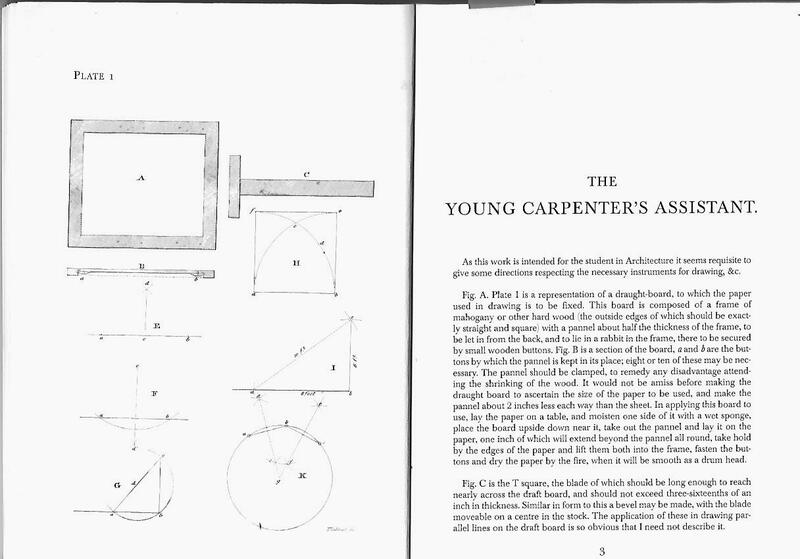 This is his only book A respected master carpenter in Philadelphia, he died in 1806.